Benefit from social selling with InStream social media integration. 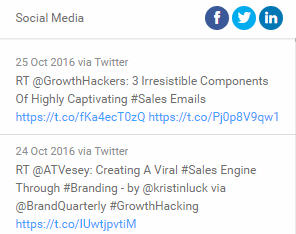 Track all your customer actions on Facebook and Twitter in one place. 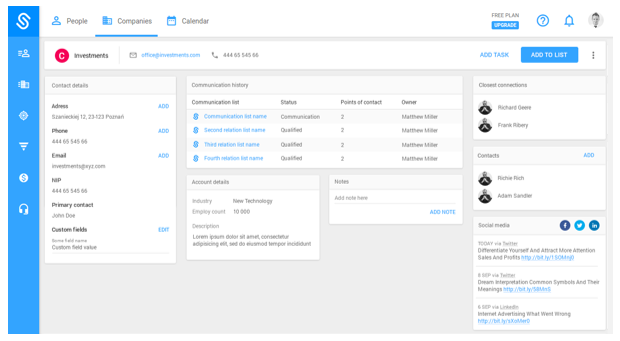 Monitor all information and never miss any key business affairs of your customers. Additionally, LinkedIn integration helps you with gathering data about your customers’ companies. In InStream social media play the major role. Thanks to that you can monitor your contacts’ social media activities and respond to them at any time. To start monitoring your contacts’ social media activity open contacts tab. 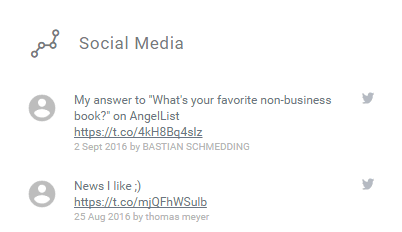 Next, click on the contact which you want to link the social media accounts with. 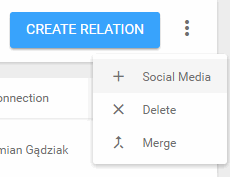 Then, click on the menu next to “create relation button”. Choose the “social media” from the list. 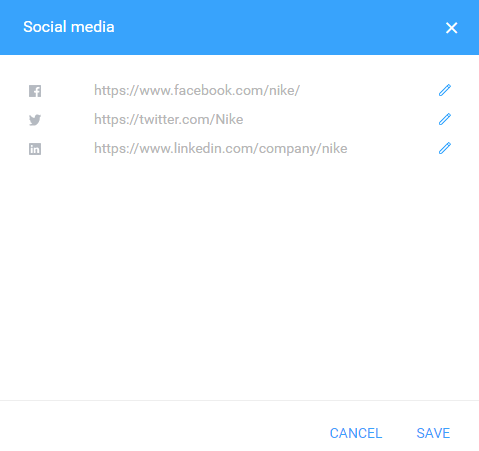 Paste links to the social media accounts and click on the “save” button. Notice: Information about your contacts’ social media activity is updated every 10 minutes. It may take some time until the latest information will be display on your screen.